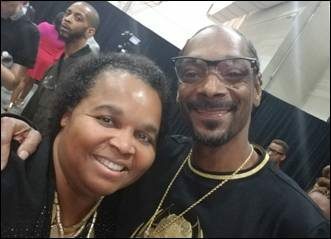 Nashville, TN (March 27, 2018) – Legendary artist Snoop Dogg is continuing to break down barriers and set records with his latest music project and first gospel album, Bible of Love (All The Time Entertainment / RCA Inspiration). Released on March 16th, the 32-track album debuted at #1 on Billboard’s Top Gospel Albums chart and #1 on Nielsen SoundScan’s Gospel Total Consumption chart. Additionally, Bible of Love is #2 on Billboard’s Top 200 Christian & Gospel chart, #2 on Nielsen SoundScan’s Christian / Gospel Digital Album chart, #3 on Billboard’s Top Christian & Gospel Album’s chart and has been streamed over three million times in its first week, which broke the previous record for a gospel album. The Associated Press said, “Bible of Love doesn’t just showcase talented artists. It also shows off an elastic, big-tent version of the musical genre that can include flavors of soul, blues, and R&B. Adding rap makes sense. For that, we should all praise the Dogg” and CCM Magazine calls the album, “a real, take-you-to-church affair that will have you checking to make sure you’ve got your robe on right or tie tied tight just a few movements into the thirty-two track, double-disc set.” Diddy lauded Bible of Love as “incredible, timely and needed”.